Environmentally Friendly Packaging: Should We Ban Plastic Packaging? Eco friendly packaging is a subject that has hit the headlines over recent weeks and campaigns to reduce and even ban plastic packaging are gathering momentum. As packaging suppliers our clients often come to us for technical advice and recommendations for more environmentally friendly packaging solutions. Clients need to understand more about what other retailers are doing to reduce and recycle their packaging and minimise the environmental impact of their business. In this post we examine the debate about reducing and banning plastic packaging. The final episode in the BBC1 series called on viewers to help reduce plastic waste. It took an unflinching look at the impact of human activity on marine life, with David Attenborough delivering a powerful rallying call to do more to protect the environment. “The future of all life now depends on us,” the BBC naturalist said in his closing speech. The episode, which depicted albatross parents unwittingly feeding their chicks plastic and mother dolphins potentially exposing their new-born calves to pollutants through their contaminated milk, shocked viewers watching at home. Phil Chadwick Editor of Packaging News response to Teresa May’s speech; “I can’t remember a Prime Minister devoting so much of a single speech to packaging. But this month, that’s exactly what Theresa May did, as she unveiled the government’s 25-year environmental plan. There weren’t any surprises in May’s speech and much of it we can all agree on: it’s not acceptable that the UK’s waterways and planet’s oceans are polluted with plastic. Everyone has a role to play in ensuring that plastic packaging doesn’t end up where it’s not welcome. But populism can be a dangerous thing. Creating government policy based on the whim of the Daily Mail isn’t always going to work and the plan was alarmingly light on detail. And what detail there was raises a couple of key questions: what’s the best way to fund an enhanced waste management system and what of the general public’s role to play? On money, it’s clear that the government is keen to tax. Next month, the Treasury is calling for evidence on taxing single-use plastic packaging. Many industry bodies take issue with such a move. Much better, they say, to revamp the Packaging Recycling Notes (PRN) system, which would mean that producers pay more but at least the money will go where there’s a need – on recycling and waste collection infrastructure. The trouble is that, like the plastic bag charge, you get the feeling that the government has made its mind up. Once the Chancellor had announced his plans in the budget, then it seemed clear that we’re on the taxation road. PRN reform might gain traction though and it should be everyone’s hope that any additional charges or taxes are invested into waste management. Money is the major issue. Warm words and gimmicks won’t solve anything. To boost plastic recycling, or any material for that matter, needs fresh investment and joined-up thinking from national and local government. The UK needs to sharpen up its act on collecting used on-the-go packaging; there’s so much going to landfill that could be recycled. And what of the public? If the government wants to go the extra mile then it really ought to be addressing the elephant in the room: litter. Behavioral change is vital to keep litter off streets, waterways and oceans. Governments are reluctant to go big on this as pointing the finger at the faults of the general public could cost votes in the long run. Ultimately, it comes back to the old phrase that we’re all in this together. Focusing on just one or two elements of the plastic packaging supply chain won’t change much.” People in England will soon have to pay a deposit when they buy drinks bottles and cans in a bid to boost recycling and cut waste. 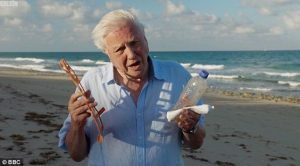 The announcement of the deposit return scheme follows Sir David Attenborough’s Blue Planet programme, which showed vivid images of plastic pollution. LEGO goes green with sugarcane-based plastic. The move is part of the Danish company’s pledge to use sustainable materials in its products and packaging by 2030. The toys will be made with a polyethylene produced with ethanol made from sugarcane. The polyethylene pieces will make up just 1% to 2% of the total amount of plastic elements produced by Lego. American multinational toy and board game company HASBRO has decided to use bio-based plastic packaging material, as part of its sustainable packaging efforts. The company said that it will use plant-based bio-polyethylene terephthalate (PET) for blister packs and plastic windows in its product packaging starting from the next year. Hasbro eliminated wire ties in 2010 and replaced polyvinyl chloride (PVC) with PET in 2013. The firm said that it also achieved 90% recycled or sustainably-sourced paper for packaging and in-box content in 2015, and shifted from PET to post-consumer recycled (rPET) in 2016. Hasbro has also announced plans to use bioPET plastic made with 30% plant-based material derived from agricultural by-products. The UK’s Glastonbury Festival is a five-day, Woodstock-like celebration of music on a 900-acre farm that attracts around 150,000 people, over 350 performers, and a huge amount of trash. The 2016 edition of the festival needed a clean-up effort that lasted over two weeks. Eager to rein things in, festival organizers hope to implement a site-wide ban on plastic bottles once the festival returns in 2019. ASDA to scrap all 5p single use carrier bags in plastic crackdown. The retailer has promised to cut 10% of plastic from its own-brand product packaging within the next 12 months. support for initiatives such as a bottle deposit return scheme for plastic bottles. From Marcus Gover, Chief Executive of “Wrap” “The recent media, government and public storm about the damage that plastic waste is causing to our environment has created a collective will to tackle the problem. It is a complex issue, though. Plastic is inextricably linked with food, and the environmental damage caused by wasting food is monumental. The carbon impact of the edible food we waste in our homes is the same as the carbon emissions from all of the HGVs on the UK’s roads. So, we can’t just think about the plastic packaging, we need to worry about what is inside it too. Any solutions have to ensure we retain the benefits that plastic was designed to achieve in the first place – in preserving food and helping citizens to get the best out what they buy. That is why I am so excited by the new plastics initiative we announced in partnership with the Ellen MacArthur Foundation (EMF). It will be the first national implementation of EMF’s New Plastics Economy. According to Professor Thomas Kinnaman of Bucknell University in the US, recycling plastic uses roughly double the energy, labour and machinery necessary to put it in landfill. It could also become less efficient in the future, as modern incinerators produce less and less pollution. And recycling has its own environmental costs, including more trucks on the road. DON’T DEMONISE PLASTICS: WHY THE NEW ANTI-PLASTICS CAMPAIGNS REPEAT SUSTAINABILITY MISTAKES OF THE PAST- AND HOW TO AVOID THEM Published on March 15, 2018 by Martin Summers Associate Director at GK Strategy Sky’s “Pass On Plastic” campaign is superb. It’s compelling and memorable and should achieve its aim of encouraging consumers to avoid single use plastics. It builds on the moving images of plastic pollution watched by millions of viewers of Blue Planet II. It’s another photogenic but disturbing tale of humanity’s despoiling of Eden. 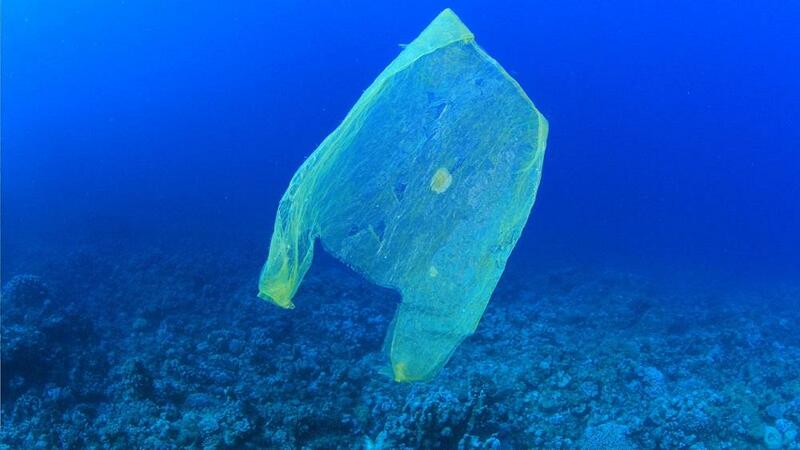 But it and many other anti-plastics campaigns and groups, such as the Plastic Pollution Coalition, risk repeating lots of the mistakes of previous sustainability campaigns – typically arising from demonising particular commodities or technologies – that have led to bad policies and often counterproductive consumer and corporate practices. For example, the demonisation of diesel, accompanied by new and complex taxes, has led diesel sales to drop by one third, despite the latest ‘Euro 6’ rated diesels being almost as clean as the latest petrol cars. Diesel cars are also much more economical and produce less CO2 than most petrol cars. Making large scale, lasting sustainability impacts are dependent on governments, companies and consumers choosing the best available option. The best available option is rarely a perfect one. Firstly, as one speaker at the PRCA’s event this week, Plastic – The new evil (regrettably without a question mark), put it: companies should avoid acting too quickly and jumping on the bandwagon by rushing out with just one plastic-free product line. It is better to look across an entire value chain and see how single use plastic can be reduced. can most easily adapt to new sustainability issues, rather than those with the biggest impacts. Thirdly, companies and campaigners should follow standard sustainability best practice and take a risk-prioritised approach. If single use plastics is one of your company’s biggest environmental impacts, then do of course campaign on it and engage employees, consumers and others. Finally, it is important to recognise that leadership is not just about riding waves of consumer or political sentiment but educating consumers and other stakeholders – sometimes in ways that may run counter to existing sentiment. In the case of plastics, that might mean pointing out why single use plastics might be the best option now and for the foreseeable future. But this kind of leadership needs to be underpinned by credible actions to change consumer and corporate behaviour. Claiming that something is too complex or difficult – like reducing single use plastics – is no excuse for inaction. Just 9% of the world’s plastics waste since the 1950s has been recycled. It needs to be much, much more. Plastics have transformed society – but not the environment – for the better. The case for plastics is not about straws and shopping bags but about medical devices and safer, more efficient vehicles. The disposal and recycling of plastics presents a discrete set of problems that require targeted solutions, from better plastics and packaging solutions to government policies. Responses to the UK Government consultation on single use plastics – launched this week – should reflect this. There is no need for demonisation. Major change can be achieved without it. The history of environmental campaigning shows that zig-zagging between issues and binary policy or technological preferences has typically not resulted in good environmental outcomes. It’s time to change. reused at least once. This is because they are the least carbon-intensive to manufacture and distribute. They’re easy to produce, and their size and compactness make them convenient to transport. 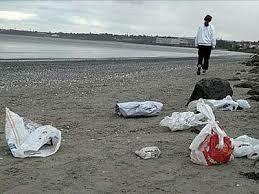 Three billion plastic bags are consumed in China every day. By way of comparison: the figure in Australia is four billion – per year! 82% of the plastic in the oceans comes from Asia, with only 2% coming from Europe and the US, and approximately 80% of what is in the Ocean is coming from land-based sources. Having reviewed the debate about reducing and banning plastic packaging we hope this has given you some insight into the challenges faced by the packaging industry. This is not an issue that is going away, signification changes are underway. We at ATL Dunbar are leading the way to introduce alternative products and processes to help our clients meet the challenges of this changing industry. We have a wide range of packaging products including pallet wrap, mailing bags and cardboard packaging on our website and we also specialise in offering bespoke packaging solutions and advice to meet our client’s individual requirements. Please do not hesitate to get in touch, our packaging experts are always happy to help.